It’s been the most frustrating ‘will he or won’t he?’ debate of the last several years, but tonight, it appears that it’s almost at an end. Page Six is reporting that Daniel Craig looks ready to sign back on for Bond 25, after sitting on the fence for far too long now, changing his tune more times than we can possibly count. According to the outlet, the actor has been “just about persuaded” to do one more film, before passing on the mantle to someone else. One source noted that, “Daniel’s talks with producer Barbara Broccoli are going in the right direction. They have a script — screenwriting duo Neal Purvis and Robert Wade [who’ve penned several Bond movies] are writing and they’ll go into production as soon as Daniel is ready to commit.” This lines up nicely with what Naomie Harris said not too long ago, about there being a very good chance that he’ll return. What’s also interesting here is that the report mentions Tom Hiddleston was under consideration to replace Craig at one point, which we’d heard, but Broccoli wasn’t a fan, saying that the Kong: Skull Island actor was “a bit too smug and not tough enough to play James Bond.” We can’t say we agree, as we think he’d make a fantastic 007, but it appears as if he won’t be the one to take up the role once Craig departs. Circling back to the story at hand, though, this is far from confirmation that everything is locked in and ready to go. After all, we’ve heard many times in the past that the Casino Royale star was down to make another one, only to have him come out and say he was done with the franchise. It’s been a back and forth of epic proportions and until he actually signs the damn contract, we’ll continue to have our doubts. Still, Page Six’s report is certainly promising and given that we’re into seeing Daniel Craig back in the role, it’s exciting to hear that talks are going well. 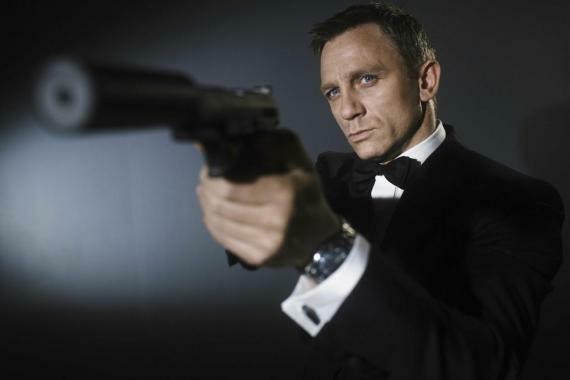 We’ll be sure to let you know if anything becomes official, but until then, tell us, do you think the actor will end up coming back for Bond 25? Sound off below with your thoughts!